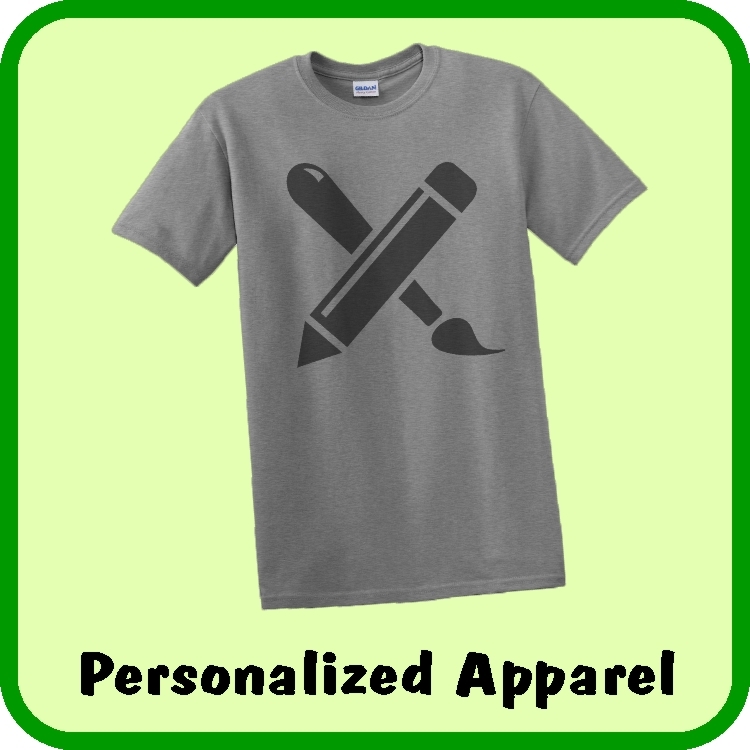 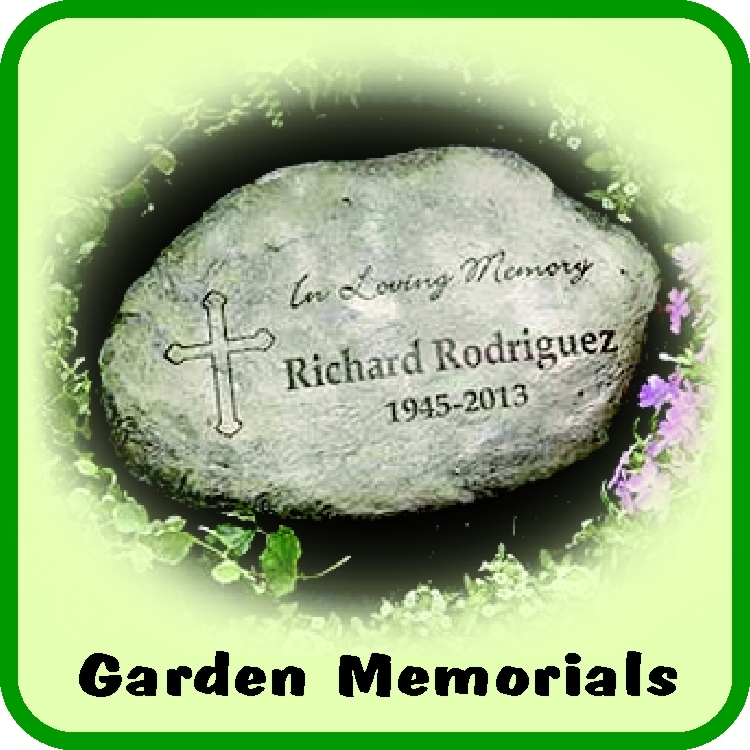 We Have That Personalized Memorial Decal You Have Been Searching For! 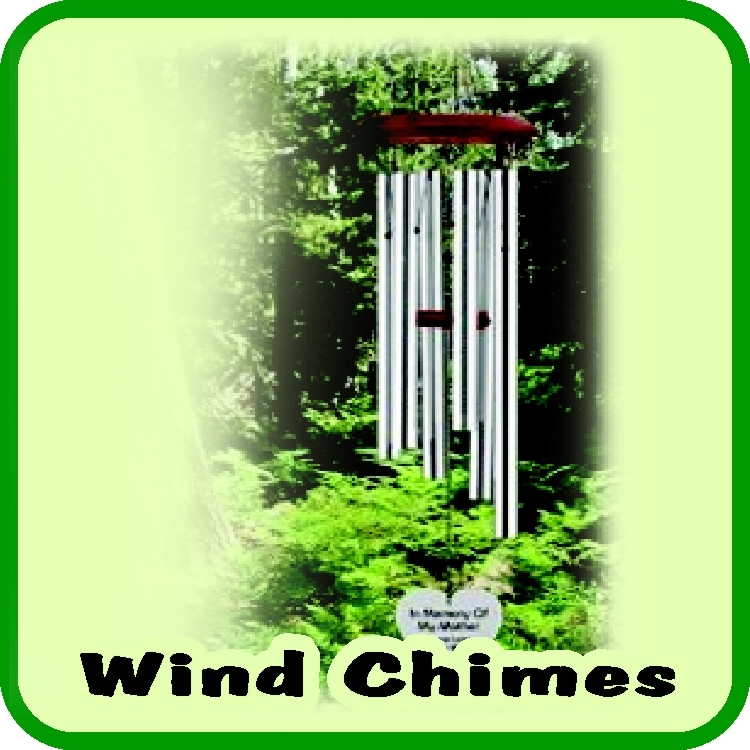 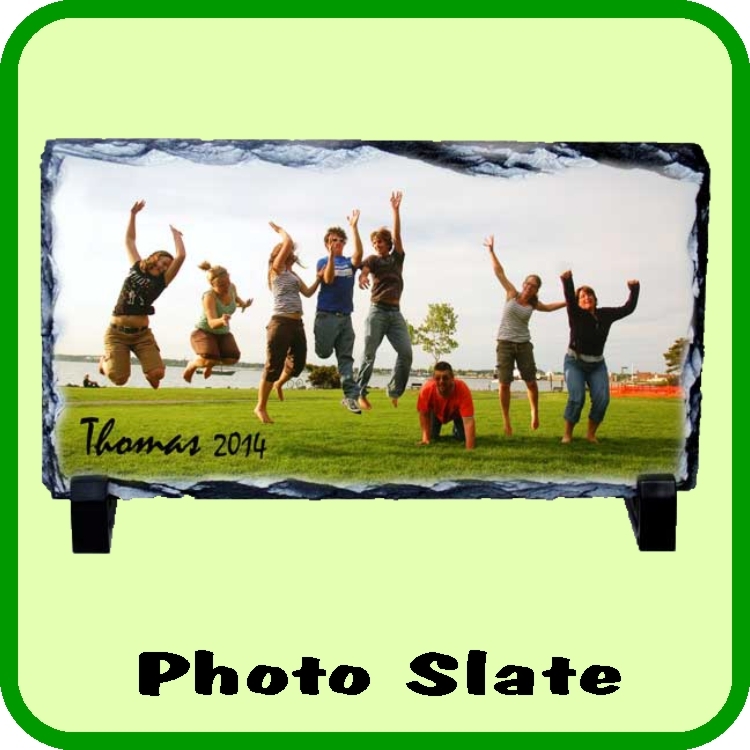 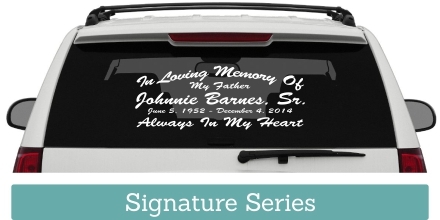 The memory goes with you where ever you go with an In Loving Memory™ car window decal. 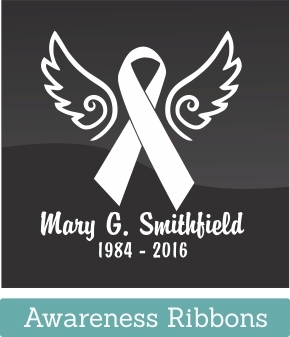 While used mainly as a vehicle window decal, these vinyl decals can be placed on any surface where you wish to memorialize your loved one. 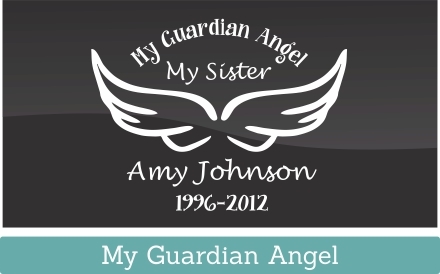 You can get your In Loving Memory™ car window decals, windshield decals, sports helmet stickers, window stickers, t-shirts and an assortment of memorial gifts here as well. 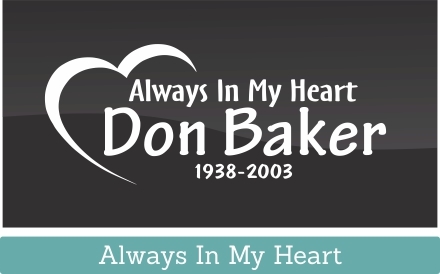 Commemorate and never forget that special loved one that meant so much to you with our personalized In Loving Memory car window decals. 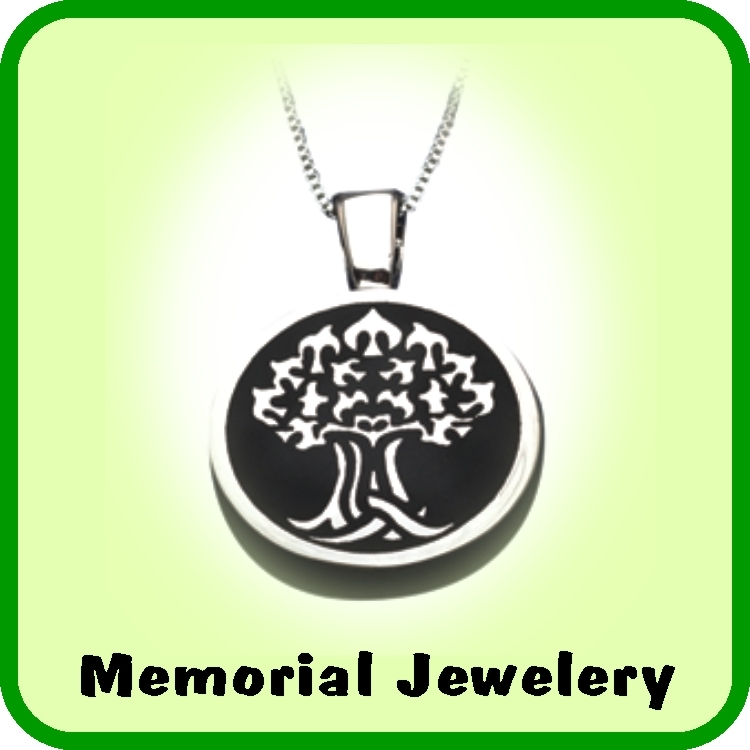 When a loved one passes, you want to be able to memorialize that family member, friend, or even favorite pet. 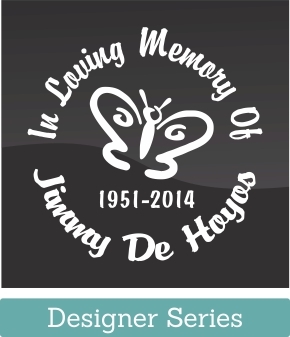 You can remember their personality in so many ways with a designer series In Loving Memory car decal. 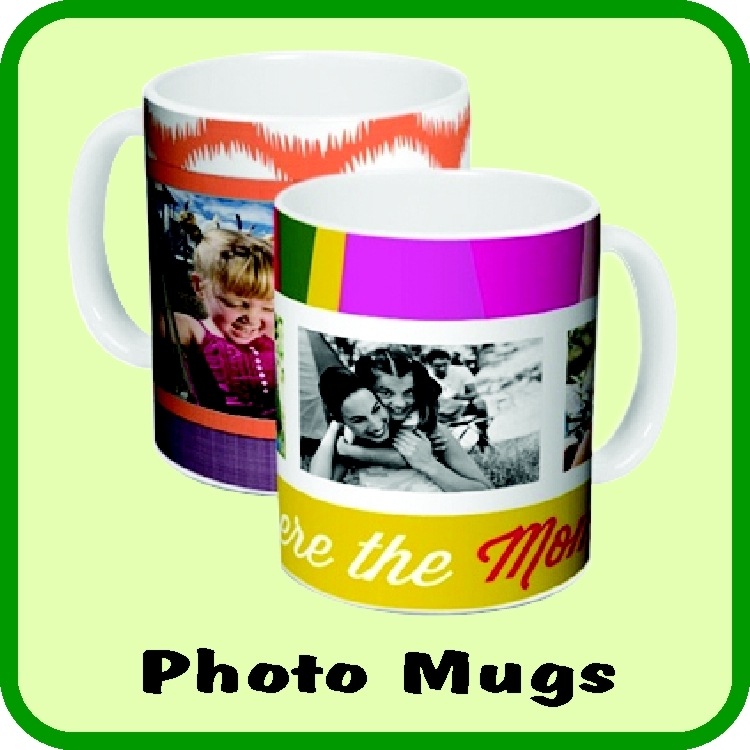 Looking to commemorate a member of the armed forces? 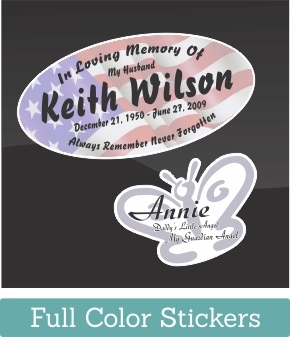 We have various military and american flag In Loving Memory car decals, perfect for representing any branch of the military. 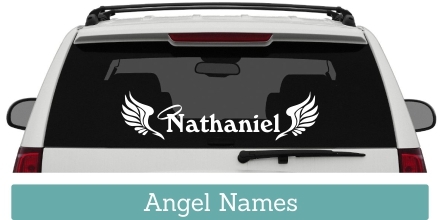 All of our In Memory of Car Decals come with the option of adding the name, date, and a personal comment as well. 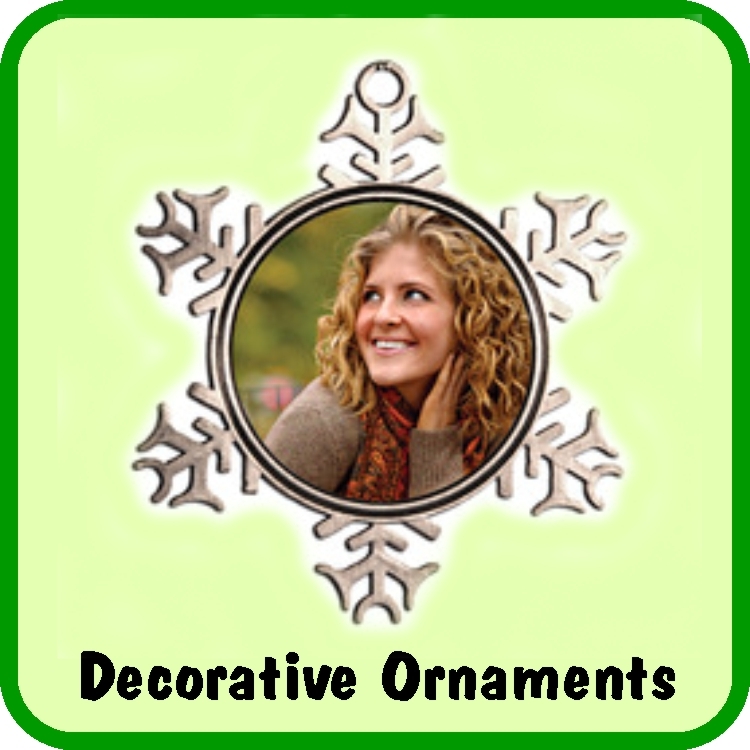 If you don’t find an icon that represents the memory you wish to showcase, please e-mail us and we will put together a personalized decal design just for you.